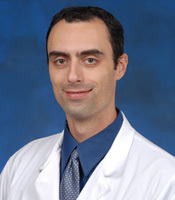 Maxime Cannesson, MD, PhD is a cardiac anesthesiology and is the director of clinical research and the director of the cardio-thoracic service at UC Irvine Medical Center. Dr. Cannesson has a broad background in perioperative ultrasound, hemodynamic monitoring and optimization, and cardiovascular physiology. He has published numerous papers in this area and is an international invited speaker on perioperative goal-directed fluid therapy (PGDT). His relevant research interests include: advancement in the widespread application of PGDT, development of closed-loop fluid administration system to improve PGDT, and innovation in the hemodynamic technologies used for PGDT. 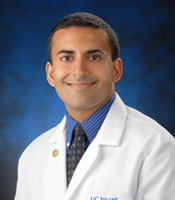 Davinder Ramsingh, MD is a cardiac anesthesiologist at the UC Irvine Medical Center. He has previous experience in developing and implementing a perioperative goal-directed fluid therapy (PGDT) protocol at several large medical centers. Dr. Ramsingh has several publications in the area of PGDT. His relevant research interests include: improvement of educational strategies utilized in the instruction of PGDT, as well as the development of innovating technologies in this area. 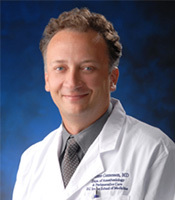 Joseph Rinehart, MD is an anesthesiologist and a champion of the Surgical Home at UC Irvine Medical Center. He has previous experience in developing and implementing a perioperative goal-directed fluid therapy (PGDT) protocol. Dr. Rinehart has several publications in the area of PGDT. His relevant research interests include: improvement of the systems utilized in electronic medical records for capturing and analyzing data relevant to PGDT, the development of innovating technologies in PGDT, and the development of a closed-loop fluid administration system to improve PGDT. The authors of this website do have financial interests in companies that provide the technologies used for goal-directed fluid therapy. Specific relationships are listed below. Regarding all documents available from this website, the authors do not warrant or assume any legal liability or responsibility for the accuracy, completeness, or usefulness of any information, apparatus, product, or process disclosed. This website may contain links to other internet websites or resources only for the convenience of the users of its website. It is not responsible for the availability or content of these external sites, nor do the authors endorse, warrant or guarantee the products, services or information described or offered at these other Internet sites. It is the responsibility of the user to examine the copyright and licensing restrictions of linked pages and to secure all necessary permission. Your correspondence or business dealings with, or participation in promotions of, advertisers found on the Site, including payment and delivery of related goods or services, and any other terms, conditions, warranties or representations associated with such dealings, are solely between you and such advertiser.